The Tracker 992SS6 is one of the most versatile tracker ever. 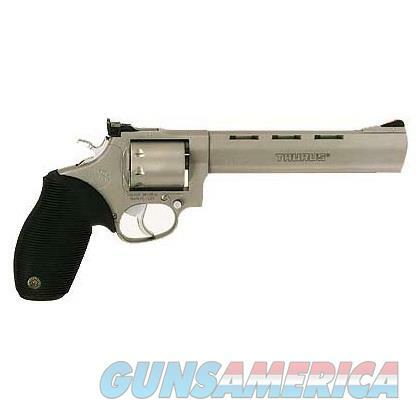 No other revolver in its class comes close to matching the versatility of the Tracker 992. It easily transforms from .22 LR to .22 WMR in seconds with its breakthrough removable cylinder. It’s everything you could ever want for plinking, target practice or varmint hunting with the popular and affordable ammunition choices. Transfer bar prevents the hammer from striking the firing pin until the trigger is pulled fully to the rear. Taurus Security System provides instant ready defense with built-in ability to secure your pistol. Making it inoperable at the turn of a key. With the TSS engaged, the pistol cannot be fired or cocked and the gun’s manual safety cannot be disengaged.